THIS EVENT HAS BEEN POSTPONED DUE TO INCLEMENT WEATHER AND POOR ROAD CONDITIONS IN THE ST. LOUIS AREA. WE ARE WORKING TO RESCHEDULE THIS SESSION AND WE THANK YOU FOR YOUR PATIENCE. IF YOU ALREADY PURCHASED A TICKET, PLEASE RETAIN THE EMAIL RECEIPT AS THEY WILL REMAIN VALID FOR THE RESCHEDULED SESSION. NEW INFORMATION WILL BE POSTED AS SOON AS IT’S AVAILABLE. Our inaugural speaker will be Dr. Brooks Blevins of Missouri State University. Dr. Blevins is the Noel Boyd Professor of Ozarks Studies, widely considered the foremost expert on the history of the Ozark region. Dr. Blevins’s most recent book is A History of the Ozarks, Volume 1: The Old Ozarks (University of Illinois Press, 2018), which among many other things addresses the role of the Scots-Irish in the making of Ozarks culture. 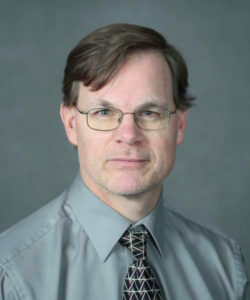 Dr. Blevins also serves on the editorial boards of the Arkansas Historical Quarterly and the Missouri Historical Review. The event will take place at the United Hebrew Congregation on 13788 Conway Road. Doors will open at 6:00 pm with the sesssion beginning at 6:30 pm. Tickets are available at our Eventbrite page (click here) or can be purchased at the door. Free admission is granted to high school and university students who present a valid student ID. Refreshments will be provided and a short Q&A period will follow the presentation. Please email us for more information!